As pets age, their needs change compared to when they were younger. 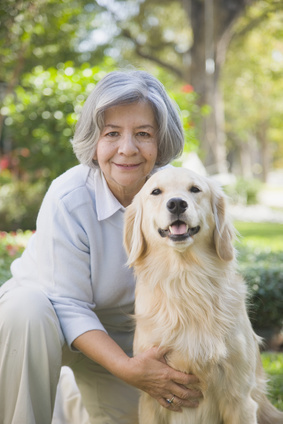 It's important to focus on pet wellness during this stage of life, which can include preventing health problems, treating problems and providing a good quality of life. If you have an aging pet and need a veterinarian in Portland, bring them to Peninsula Dog & Cat Clinic. We provide care to pets of all life stages. When Is a Pet a Senior? Small dogs and cats generally move into the senior pet care category when they turn 7 years old, whereas large dogs enter this stage at 6. Nonetheless, with dogs, it depends on the breed, so you should research or ask your vet about the senior category for your dog's breed. What is different about your dog or cat's care when he reaches this age group? In general, you should get exams and tests more often for your pet to stay on top of his health and catch problems early on when they are more treatable. The American Animal Hospital Association suggests bringing your pet in every six months for an exam once they reach their senior years. In addition, pet owners should focus on preventive care to prevent health problems from starting as much as possible. In addition to regular vet visits, preventive care can include cleaning your pet's teeth, learning about changing dietary needs and possibly changing the diet, keeping your pet's weight at a healthy level and following vet guidelines for vaccines and parasite control. You can also help their wellness with socialization, activities they enjoy and a steady routine. As their health and mobility decreases, you might need to make some changes to make life easier for them, such as putting pet stairs next to the couch to help them climb up and putting their sleeping area downstairs so they don't have to climb a flight of stairs. Peninsula Dog & Cat Clinic strives to help your pet live as long as possible with a high quality of life. We know that your senior pet requires more vet care, so we offer a pet wellness program to include much of that care in one package. It includes a yearly checkup visit with a physical exam and testing, dental care and vaccinations for your pet. The testing we perform can help determine if your pet has health conditions or diseases that might affect a senior pet. Even if your pet seems healthy, he might have the start of a health condition that we can catch early and have a better chance of treating it before it worsens.